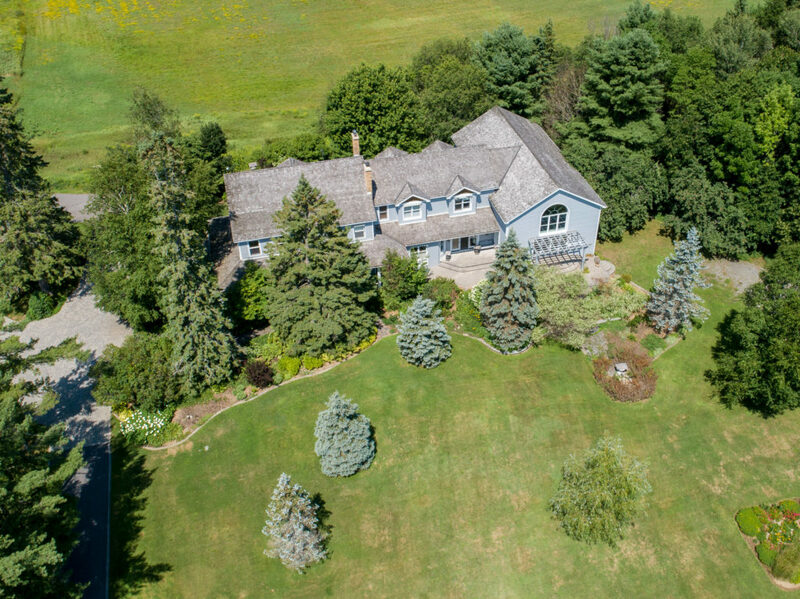 Idyllic 300+ acre estate property near the village of Windermere. 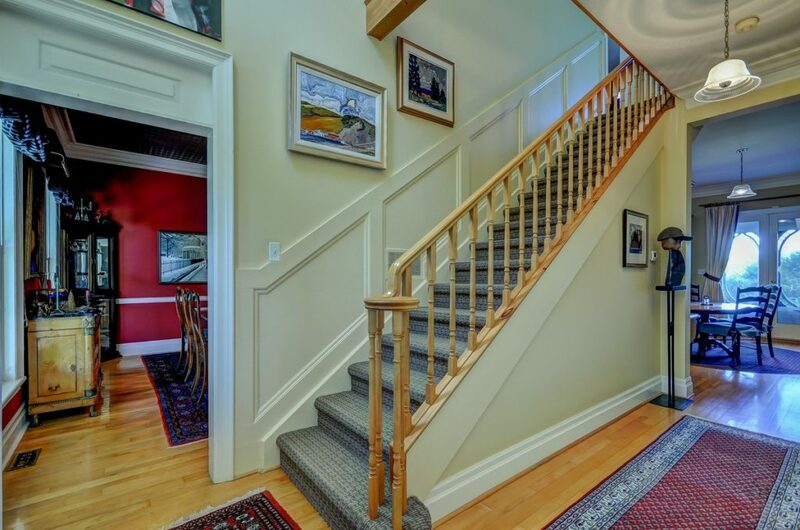 Perfect for those who appreciate nature, the property includes farmland, forest and waterfront on a private lake and the Dee River (linking Three Mile to Lake Rosseau). 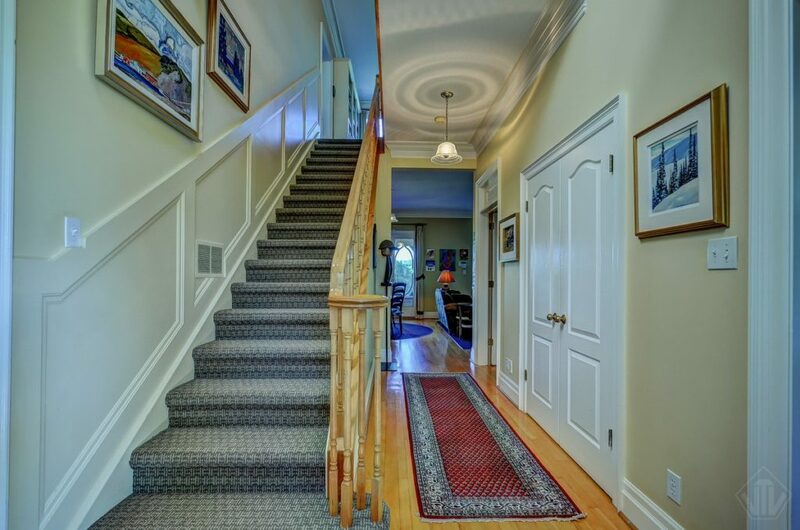 Manicured lawns, mature trees and professionally maintained gardens surround the 8,000 sq ft home featuring 5 bedrooms, 5 bathrooms, large indoor pool, sauna, spacious living and dining rooms plus fully finished basement with laundry room, family room, recreation room and storage rooms. The back deck offers stunning views over the Dee River valley, while a large covered verandah at the front of the house provides a shady spot to enjoy the gardens. 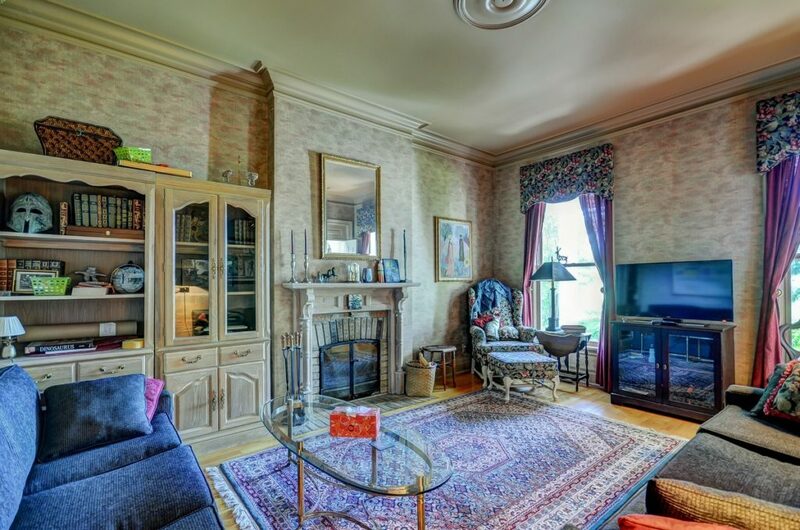 Large country kitchen with plenty of cupboard space, pantry room and adjoining dining areas and family room. 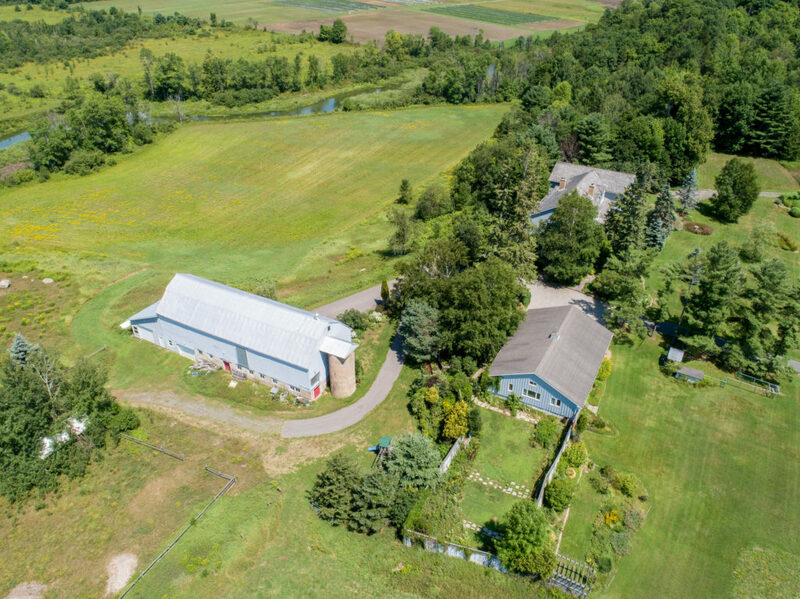 A detached 3 car garage with finished office space, as well as a 5,000 sq ft steel clad bank barn, offer hobby/horse farm potential.